On their new album, Find A Light, Blackberry Smoke proves why they’re one of the most consistent bands out there right now. Fitting squarely in the Southern-rock genre, Blackberry Smoke has always been a band that could appeal both to country and rock listeners, but their new album truly has something for everyone. Whether it’s the crunchy blues-rock swamp of “Flesh and Bone” or the aching, fiddle-driven “I’ve Got This Song,” this is Blackberry Smoke’s most diverse offering yet. Their brand of devilish fun and swagger shines on a song like “The Crooked Kind,” which boldly proclaims that if you’re looking for a band content with settling, then you haven’t met Blackberry Smoke yet. “I’ll Keep Ramblin’” is the center point of the album, delivering a fiery, boogie-rock driven number that blends in a little bit of each of the band’s trademarks. There’s rock, funk, gospel, and a hint of country blended to form one big adrenaline rush. This track, a duet with Robert Randolph, isn’t the only track that features some outside help. “Let Me Down Easy,” with Amanda Shires, shows vulnerable performances from both artists as they achingly acknowledge the end of a relationship. “Mother Mountain,” with the Wood Brothers, also features a charming, catchy acoustic riff built upon a song that’s as smooth as a crisp spring morning. Though their performances are riveting, their lyrics deserve equal attention and praise. What’s made a band like Blackberry Smoke stand out from the rest of the pack is their ability to touch on important topics in their music. 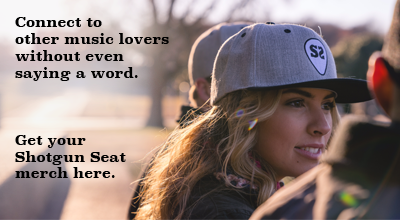 In other words, it’s music that’s fun and meaningful, two elements that never seem to mesh easily. “Flesh & Bone” is fierce yet contemplative, as the narrator questions how much he, as just one person, can do to solve the world’s problems. It’s no surprise to hear reckless tracks like “The Crooked Kind” and “’Til The Wheels Fall” followed by more calming, subdued songs like “Medicate My Mind” and “Mother Mountain.” The track sequencing follows the production and lyricism as another excellent aspect of this album. It all comes back to those burning questions of how to approach life, and this album perfectly balances varying sonic and lyrical elements. At times, the narrators in these songs want to forget their troubles (“Run Away From It All”), making the songs about hardship (“I’ve Got This Song” and “Mother Mountain”) stand out more. No matter what comes our way in life, we’ll always have music, and whether we’re the listener or the artist making it, sometimes it’s all we have to rely on. “I’ve Got This Song” captures that feeling perfectly. 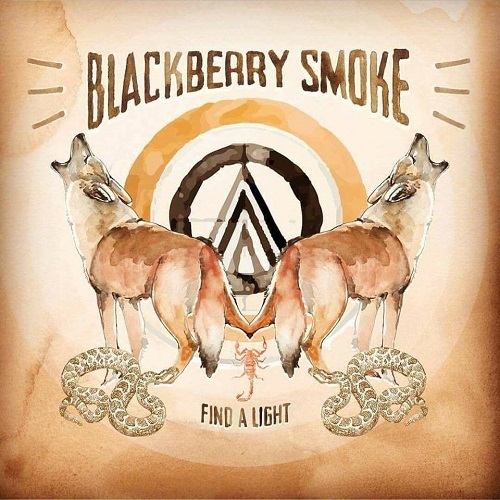 Blackberry Smoke continue to climb upward on Find A Light, delivering another fantastic album that shows nothing can stop them. (Not that they’d let it, anyway.) Find album and tour information here.